Do I need to book my Dubai Desert Safari in Advance? HomeBlogDo I need to book my Dubai Desert Safari in Advance? We often get asked ‘Do I need to book my Desert Safari in Dubai before I get there?’ or ‘How long in advance do I need to book my Desert Safari?’ or ‘Does your Desert Safari sell out?’. The answer to these questions is that it is always best to book as early as possible. Throughout the year, our Desert Safaris do sell out, especially our signature tour; our Heritage Desert Safari in the evenings with our vintage Land Rovers. At Platinum Heritage, we like to do it differently and we want to make sure you do not feel crowded or rushed. When you are a guest at our camp, even when we are at maximum capacity, you will enjoy a small intimate group experience. We only use highly trained, full time staff, trained extensively by our in-house Conservationist. Due to this, we have limited capacity and there is never a time where our guests will need to queue for the bathrooms, activities or for dinner. We believe this is one of the reasons we have been the number 1 Desert Safari in Dubai on Trip Advisor for the past 4 years. Our Heritage Desert Safaris are also conducted in rare, vintage Land Rovers. We operate the largest active fleet of these vehicles in the world, but seats are still scarce, so once all the seats are sold, opening up more space isn’t an option. 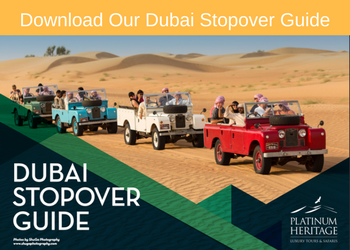 It’s an awesome feeling driving through the dunes in these open-top museum quality icons of Emirati heritage and we have just added 3 more to the family this season after a painstaking 9 month full restoration with a vintage Land Rover specialist in South Africa. 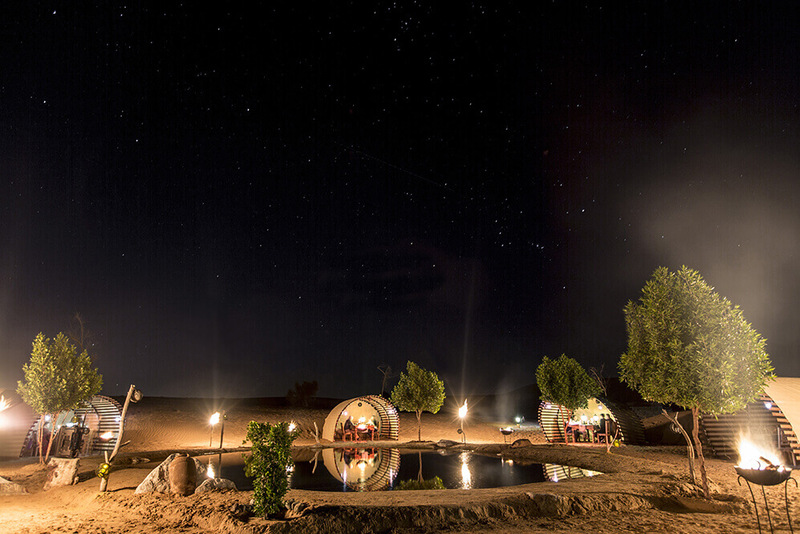 If you are looking for one of our more exclusive Desert Safaris, we have the Platinum Desert Safari where you can enjoy being driven in a luxury Range Rover and feast on a 6-course meal under the stars in your own private cabana. As we only have a handful of these private cabanas available, this exclusive Desert Safari often books out well in advance. There are busier times of the year such as Christmas and Easter holidays as well as European school holidays. At these times we can sell out weeks in advance. So if you have your travel dates confirmed, you can book early and take advantage of our special offer. With every booking made more than 30 days in advance, you will receive a free video of your desert experience. 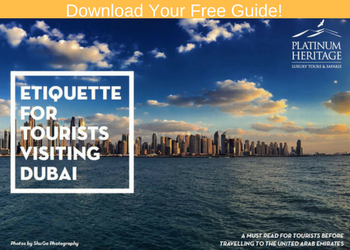 The video contains personalised drone footage of your car traversing the stunning Dubai desert and is valued at over $50. 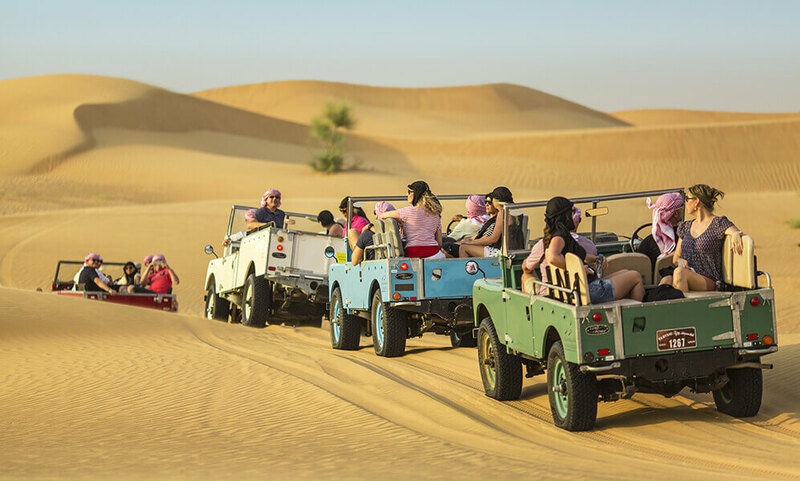 Don’t be disappointed by missing out on the best Desert Safari in Dubai. Join us to find out why we are the most awarded desert safari company and experience first-hand how we do things differently. We look forward to seeing you in the desert soon!